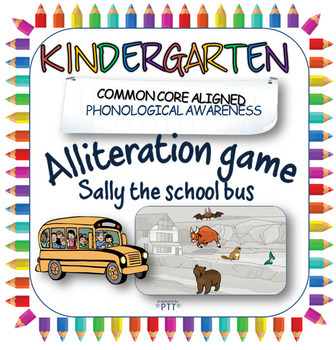 A fun alliteration pre-reading game to play with small groups or a class. 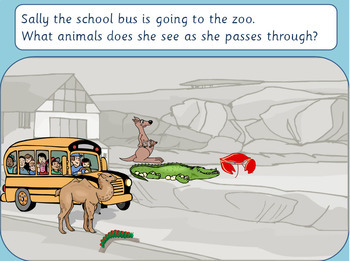 The powerpoint shows Sally the schoolbus as she drives through the zoo. 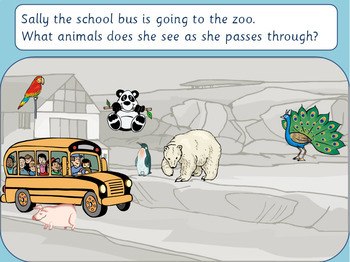 Each slide shows animals beginning with the same sound, for example - horse, hen, hedgehog, hippo. The aim is to sound out which sound the animals begin with. There are also printables to use as a game. One is on small cards, the other large.